In this episode of Confetti Park, Katy Ray interviews Rich Collins of the Imagination Movers. 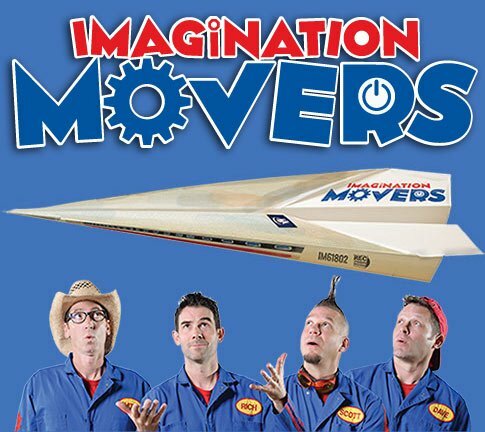 The Imagination Movers are one of the most famous kids’ music bands in the world, and they hail from New Orleans! In their newest album just released this year, called Licensed to Move, the songs address such sophisticated topics as line cutters, messy rooms, and fingers coated in snack powder. Rich points out that this album is also very high energy! Rich also discusses the animated television show “Super Movers” currently in development with Toronto-based 9 Story Media Group. The series is tentatively scheduled for a 2016 debut. Listen to the full interview, full of musical treats, on this free podcast.